Discovery Channel (formerly The Discovery Channel from 1985 to 1995, and often referred to as simply "Discovery") is an American basic cable and satellite television channel (which is also delivered via IPTV, terrestrial television and internet television in other parts of the world) that is the flagship television property of Discovery Communications. Discovery Channel offers non-fiction entertainment in the areas of history, nature, science & technology, world class culture and human adventure. 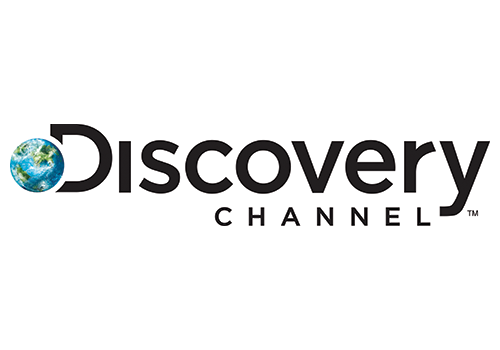 Discovery Channel is owned by Discovery Communications, the world's #1 nonfiction media company reaching more than 2-billion cumulative subscribers in 224 countries and territories. 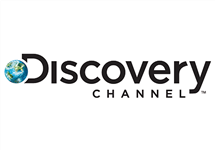 Discovery is dedicated to satisfying curiosity through 195 worldwide television networks, led by Discovery Channel, TLC, Animal Planet, Science and Investigation Discovery, as well as U.S. joint venture networks OWN: Oprah Winfrey Network, The Hub and 3net, the first 24-hour 3D network. Across the Nordic region, Discovery owns and operates SBS Discovery Media, a top-three portfolio of 15 television brands that feature leading nonfiction content, as well as locally produced entertainment programs, sports and the best scripted series and movies from major studios. Discovery also is a leading provider of educational products and services to schools and owns and operates a diversified portfolio of digital media services, including Revision3. In Central and Eastern Europe, the Middle East and Africa, 10 Discovery brands reach 243-million cumulative subscribers in 105 countries with programming customised in 19 languages. Summary: Klondike is an American television mini-series produced by Discovery Networks in association with Entertainment One and Nomadic Pictures as the first ever scripted series for Discovery, which centres on the friendship of two adventurers, Bill Haskell and Byron Epstein, as they travel Northwest during the Klondike Gold Rush in the late 1890s.